Why haven't I thought of this before?! It's a genius way to incorporate my love (obsession) for bananas! I'm forever searching for the World's Best Banana Bread recipe, so I'm constantly trying new versions. Each time, enjoying the results. This week I tried this recipe and it was okay, though not the World's Best as it claimed. My search will continue. 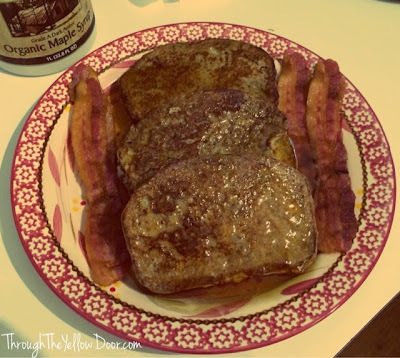 However, I had a brilliant idea to save some of the bread to make french toast with over the weekend and it was delicious!! Super easy too! 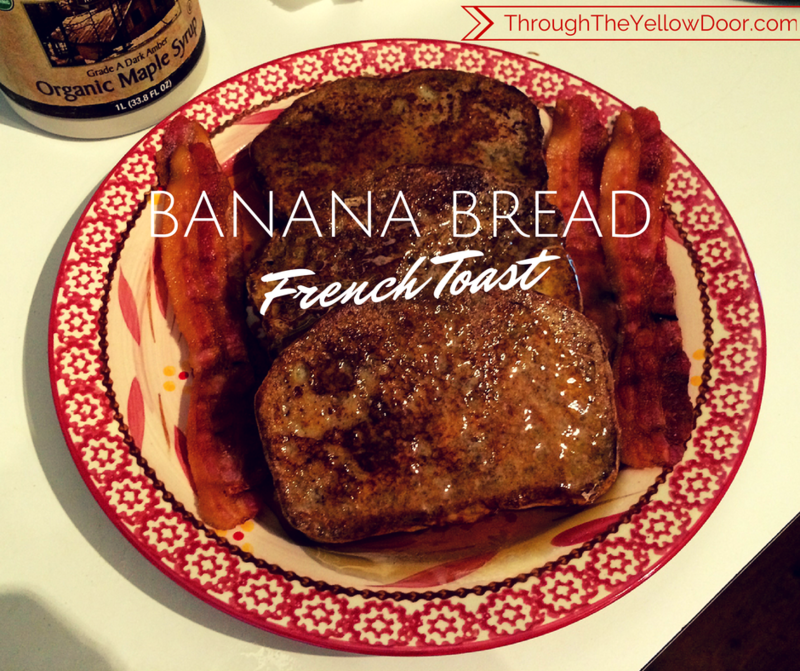 Just whip up your normal (aka easy) french toast recipe and dip slices of banana bread into it. 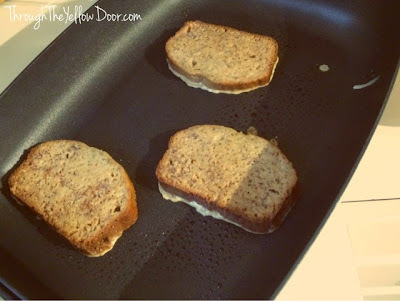 Fry the toast on each side for 1-2 minutes. Top with some butter and a little maple syrup and enjoy! And of course, bacon makes any meal that.much.better!